Volt Industrial Plastics is located in the hill and hollow Ozarks region of northern Arkansas in a region known as the Twin Lakes area. The town it was founded in, Flippin, was named after a local family. The town it is now located in, Yellville, was named for General Archibald Yell, Civil War soldier and the second governor of Arkansas. The area is home to the first national river, the Buffalo National River. 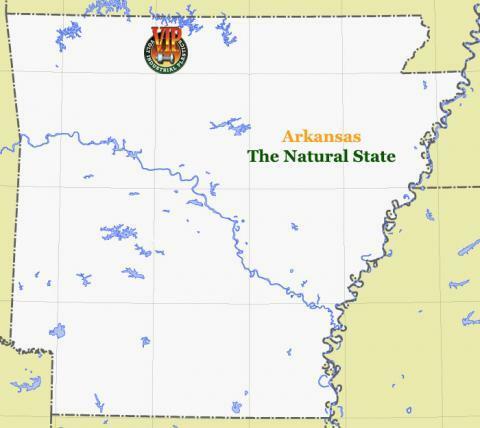 It also boasts two lakes close by, Bull Shoals Lake and Lake Norfork; both created by dams. The White River boasts terrific fishing for rainbow and German Brown trout and the lakes host bass fishing tournaments on a regular basis. Our local Crooked Creek is great for floating by canoe or tube during the rainy season and the Buffalo River is floated year round, many visitors making a regular trip to the area. Dotted about the Twin Lakes area are many private campgrounds supplemented with camping areas maintained by the Army Corps of Engineers and the U.S. National Park Service. We are just a hop, skip, and a jump from internationally renowned Branson, Missouri. Locally, on the second Saturday in October, Yellville hosts the Turkey Trot festival. Harrison, just a few miles down the road has Crawdad Days in May and a hot air balloon festival in the fall. Several of the other local towns including, Cotter, Gassville, and Norfork also hold small festivals. The courthouse squares in both Yellville and nearby Mountain Home host local musicians free of charge for those who attend during the summer months. Volt continues to grow as do the communities that surround us. After 23 years we look forward to continuing to move forward. Come visit the Twin Lakes area and you will see why Joe Volltrauer decided to locate his venture here.